Christmas celebrations in Mexico are marked by diverse traditions and attractions, which - combined with the sunny weather, good food and friendly residents - drive thousands of tourists south of the border this time of year. It is during this season that visitors get to experience the unique traditions and warm hospitality for which the country is so well known. Mexicans countrywide celebrate the ultimate fiesta with regional holiday cuisines, colorful decorations and traditional festivities. Between Dec. 16 - 24, one of the most impressive local holiday customs - known as posadas - are re-enacted every year. A longstanding tradition carried out nightly during the Christmas season, these are both a religious and social celebration, honoring the biblical journey of Mary and Joseph from Nazareth to Bethlehem. The nine days of processions were originally created to teach the Aztecs the story of the birth of Jesus and to coincide with the nine-day Fiestas del Sol, celebrating the birth of the Aztec Sun God, Huitzilopochtli. In much of modern-day Mexico on each of these nights before Christmas, a party is held in a neighborhood home. At dusk, the guests gather outside to watch a procession of children and musicians dressed in colorful robes, bathed in the glow of candlelight. Once the procession reaches the home, half of the group enters, while the others remain outside, singing a plea for shelter inspired by Mary and Joseph's search for shelter long ago. The doors are then opened and the celebration begins with traditional food and drink and piñatas in the shape of the star of Bethlehem filled with candy. The last Posada, held on December 24, culminates in midnight Mass. Another key aspect of the Mexican Christmas scene, are dramatic plays representing various historical scenarios, including the trip of Saint Joseph and the Virgin Mary to register in the Roman census. These pastorelas highlight the hardship they suffered while searching in vain for shelter, the shepherds' adoration of the Baby Jesus and other historical events related to Christmas. The plays date back to Mexico's Colonial period when Catholic missionaries used these dramatizations to convert natives to Christianity. The first documented pastorela, dubbed Los Reyes (the kings), was acted out by missionaries in 1527 in Cuernavaca. Nowadays, they are often performed by professional groups, but have also become a favorite with amateurs and school children. Mexico welcomes the New Year with an abundance of music, dancing and fireworks. Streets are filled with revelers who congregate for parties, which typically last till dawn. A popular tradition calls for eating 12 grapes, one with each stroke of the chiming bell at midnight, which assures good luck for the upcoming year. In addition, many Mexicans believe that donning new red underwear to welcome the year guarantees yet more good luck. New Year's Day is usually a quiet time of rest, reflection...and recuperation. In many regions of Mexico, gifts are not exchanged on Christmas Day. Instead of waiting for Santa Claus on December 25, children anticipate a visit from los Reyes Magos, or Three Wise Men, who arrive on the eve of January 6. Sleepy-eyed children awake to find small gifts in their shoes, rather than in their stockings. 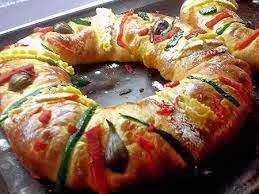 On January 6, families and friends gather to share the traditional rosca de reyes, a ring-shaped cake with a small doll baked inside. The lucky person who finds the baby must host a party on February 2, known as the Fiesta de la Candelaria (Candlemas Day). In more traditional communities, some cakes contain a ring and a thimble. The recipient of the former is assured of marriage within the year, while the person who finds the thimble is blessed with bachelorhood bliss. Nice traditions. 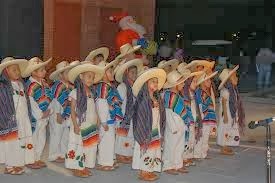 I still remember the posadas from when I lived in San Miguel de Allende as a child for a year. They took the statues of religious figures out of the churches and paraded with them through the streets. I agree. They still do that with the statues. 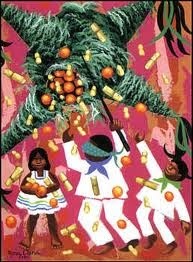 Mexican traditions are so colorful an meaningful. I hope they never stop practicing them. 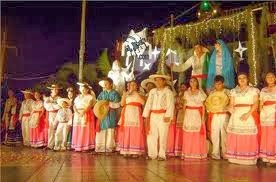 We used to enjoy the posadas of Puerto Vallarta and Bucerias when we owned homes there and spent some interesting holidays there learning of their cultural traditions. I love the Mexican traditions. The nice thing is that they haven't changed and they pass them down through the generations. I hope that never changes! Loved hearing about all these customs! We have always loved our trips to different parts of Mexico and have always thought about a visit during the Christmas season. Your article may have sealed the deal. Such a rich culture. Thanks for the education on the Christmas and New Years Fiestas. It looks like a fun filled time, and especially for the children. Great timing. We are artivingin Mazatlan on the 29th if December. Sadly, we will miss the podadas and pastoleros but we will definitely witness the Ano Nuevo parties and the List Magis traditions. I will look for that rosca and the doll insude! Very interesting post! I love Christmas traditions in different parts of the world!